There are times when it seems you can’t turn around without hearing about STEM. But tracking the roots of the acronym, which refers to fields related to science, technology, engineering, and math wasn’t easy. Wikipedia hints that STEM may have its origins with the National Science Foundation, and The Winona Daily News, in Minnesota, reported a few years ago that the term was indeed coined by the NSF—well sort of. The newspaper in Winona quoted Ramaley suggesting that in STEM, science and math serve as bookends for technology and engineering. Science and math are critical to a basic understanding of the universe, she said, and engineering and technology are means for people to interact with the universe. For middle schoolers of my generation it was math and science; engineering was a nebulous career destination far into the future and technology was but a burgeoning amorphous term with no clear identity. The educational landscape has changed. What hasn’t changed is that, generally speaking, engineering students are good at solving problems. Clearly, as a society, we need as many individuals as possible with the types of skills to wrestle down the challenges that exist locally as well as globally. Thus the push toward an emphasis on STEM in K–12—and I would argue especially in middle school—makes sense. The point is not to force-feed STEM over subjects like history, art, and literature, but to even out the level of instruction and ensure that the teachers who are responsible for it have the right tools, and the right skills, motivation, and drive to motivate students. Seeing firsthand the drive behind the work of engineers, especially the rigor of those who work on building solutions in developing countries, is hugely inspirational. The landscape of problems facing the proliferation of STEM education is complex because it’s inherently difficult to fix problems comprising, in part, elements of human behavior. Some of these are the issues to be examined at this month’s taping of the ASME Decision Point Dialogues, which will take place on the 23rd. This dialogue is being held prior to the opening of the U.S. News STEM Solutions Conference, in Washington, D.C. STEM Solutions precedes the USA Science and Engineering Festival. John Hockenberry, host of the National Public Radio program “The Takeaway,” will moderate the ASME dialogue. The Decision Point Dialogues will be broadcast on ASME.org beginning in June. From Winona, Minn., to both coasts of this country and beyond U.S. borders, the conversation over STEM is being heard. It’s time for actions to speak louder than words. Gladwell points out that David, who was small but accurate with a slingshot, turned the tables on the much bigger and powerful Goliath, who was slow and blurry-eyed. But Ivy-League-trained engineers don’t fit the usual prototype of NBA team owners, especially Ranadivé who recently became the first Indian-born basketball franchise owner in the U.S. For him, it all began after the unlikely scenario of taking his middle-school daughter’s basketball team to the national finals. At that time, Ranadivé knew no more about basketball’s “hardwood” than he did the hardwood in his living room. He had never even held a basketball in his hands before volunteering to coach his kid’s team and knew nothing of fast breaks, jump shots, or layups. Because he was unencumbered by his lack of basketball know-how, he was able to turn what was the disadvantage of not knowing conventional coaching wisdom into a strategy that turned his unlikely group of basketball novices into a top team. For him, the established ways of successfully coaching basketball didn’t exist because he was unaware of them. Gladwell insists that there are lessons to be learned from what are apparent situational shortcomings. In a recent paper called “Student Demographics and Outcomes in Mechanical Engineering in the U.S.,” which is under review for publication in an engineering education journal, researchers found that there are shortcomings in the profession. Even though mechanical engineering is the largest engineering discipline, awarding 23.2 percent of engineering degrees in the United States and Canada, it lacks diversity when compared to other engineering disciplines. In the U.S., 18.9 percent of all engineering graduates are women, but only 12.4 percent of mechanical engineering graduates are women, according to the research. In fact, until recently electrical engineering and computer engineering had smaller proportions of women. But now mechanicals hold the dubious distinction. The “benefits of identity diversity include more innovative groups, engagement in active thinking processes, growth in intellectual engagement and motivation, and growth in intellectual and academic skills,” the researchers say. So while the disadvantage of the discipline is an underrepresentation of women and other groups, the “slingshot” part of this story is that mechanical engineering is sticky. In other words, students who major in mechanical engineering tend to graduate as mechanical engineers. As the new year dawns, leading mechanical engineering educators can look at the story of David and Goliath, and that of Vivek Ranadivé, and realize that a disadvantage can quickly be turned into advantage. As long as they don’t underestimate how much freedom there can be in what looks like a disadvantage. I wouldn’t change a thing about my college years, yet I wonder if I would get even more out of it were I attending school today at my age instead of when I was in my late teens and early 20s. Studying to learn instead of studying to get a diploma changes the learning schema. The growing trend among retirees taking college courses tells me that perhaps the best learning comes when it’s exciting, uplifting, and fulfilling. I’m also thinking that this is part of the recipe that leads to greater overall knowledge. There’s no telling when the critical tipping point occurs in each of us; the time when what we study seeps in and morphs into learning. There’s also no shortage of theories on how and when learning occurs. Jean Piaget, an early pioneer in this area, believed that simply growing up influences a child’s capacity to learn. The notion of staged learning makes sense. Piaget reasoned that a child’s development occurs in phases—at a year-and-a-half, at seven, and then at around 12 years old. He believed that no matter how smart a boy or girl may be, he or she is cognitively incapable of understanding certain things before undergoing the natural psychological maturation process brought on by the passage of time. Learning theories certainly have not ended with Piaget’s. They abound, and so do disruptive concepts on how to teach more productively and learn more effectively. These challenge traditional views on how, when, and where learning happens. Nicholas Negroponte, for example—he of One-Laptop-per-Child fame—believes that the future of education is in games. His many disciples support this notion not simply as a childhood learning tool, but as a platform to teach people in the educational pipeline that includes professional development training for adults. Anant Agarwal, who previously served as the director of the Massachusetts Institute of Technology’s Computer Science and Artificial Intelligence Laboratory, is now president of edX, a serious project founded jointly by Harvard and MIT based on an online-learning model. Besides the focus on teaching, the research from the initiative is used to study how students learn and how technology can transform learning. Western Governors University is yet another unique example of a learning institution that challenges traditional beliefs. It was founded by governors of 19 U.S. states as an online university aiming to expand access to post-secondary education. Last year, the online, not-for-profit institution became the country’s leading provider of master’s degrees in math education. Although these projects challenge what was considered the norm, even traditional engineering education is taking on some unconventional means. 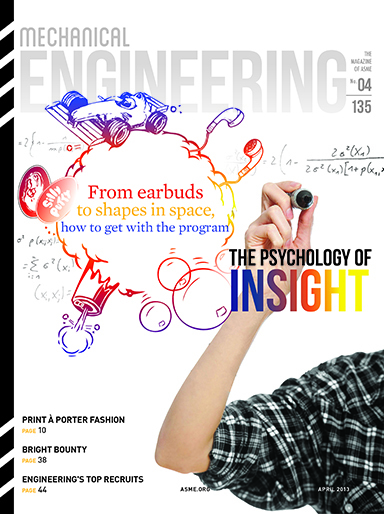 Our cover story this month, “The Psychology of Insight,” written by the director of Diversity and Inclusion at Stevens Institute of Technology, describes a National Science Foundation program called ENGAGE, now implemented at more than 50 engineering schools. Its focus is on “evidence-based strategies” of engineering education. ENGAGE emphasizes integrating everyday examples into engineering courses, improving the teacher-student interaction, and developing visualization skills among students. ENGAGE is one attempt at proving that a positive educational experience enhances learning and retention among engineering students. As the brick-and-mortar archetype of what a college should be begins to wear away, we realize that there are always better ways to teach and new ways to learn. The future of the workforce depends on challenging traditional perspectives, as well properly vetting the new ones. I always tell people how cool my job is. I get to talk to all kinds of interesting people—researchers, inventors, regulators, rule-makers, and rebels. I see some very clever stuff and sometimes play with it. Ahmed Noor is a frequent contributor to Mechanical Engineering magazine. His most recent article, “Intelligent and Connected” in the November issue, is a forward-looking discussion of smart transportation systems. 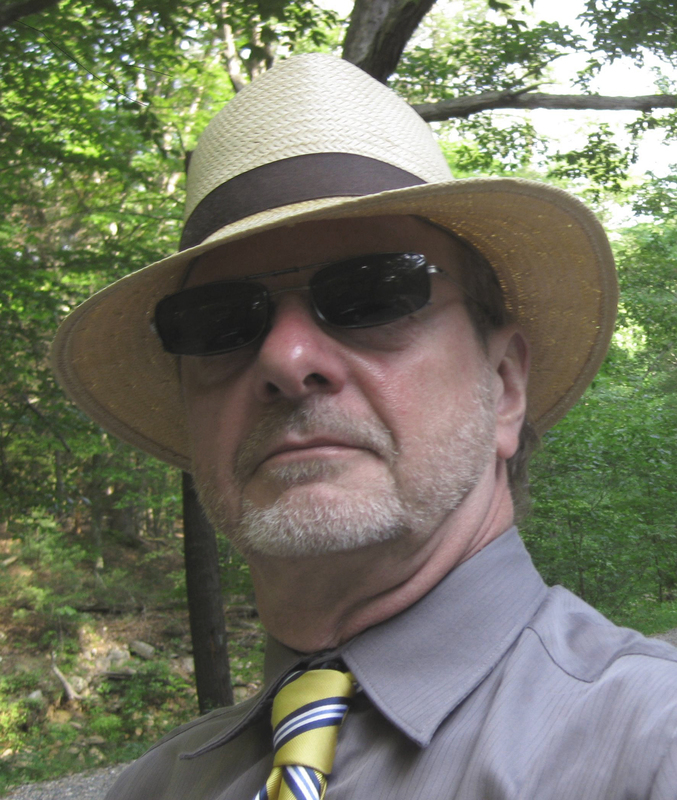 He also heads a lab, the Center for Advanced Engineering Environments, at Old Dominion University in Hampton, Va. When I was invited to an open house there, I was eager to go. The lab works with commercial partners to further the development of computers as engineering tools, with a particular emphasis on communication and interfaces. When I showed up, everyone was standing around talking to a telepresence robot. Michael Clark, from the Institute for Software Research at Carnegie Mellon, had brought it along. He has four of the things, which go by the brand name Anybots, and he studies ways to use them in education. The robot fits into a box about the size of a nightstand. It rolls around on two wheels like a Segway. It has an adjustable pole for a neck and a head with two eyes that are cameras. One of the eyes contains a laser pointer. The robot’s forehead has a small screen where you can see the operator. In this case it was Scott Friedman, an M.D. controlling the robot from his home near Pittsburgh, 350 miles away. Through the robot, Friedman could follow us from room to room, see what was going on, and make his presence known. Another demonstration at the open house was a walk-through of a highly detailed plant simulation developed by Eon Reality. It simulated a petroleum site in Angola. Mats Johansson, Eon’s president, said it was developed to train technicians. You can open a schematic of the plant, click on the site you want, and the simulation will show you how to get there and what you will see. Then you can walk someone through the steps of what to do. The job checklist shows up in a window on the screen. Eon also has a prototype of augmented-reality spectacles that work with a smartphone. You can call up an engineering drawing or a CAD model, for example, and see it projected on the lenses while you’re working on the equipment. There was also a presentation on another emerging technology. Noor’s lab is working with a company called Emotiv on a computer interface that reacts to brain waves. A student from the lab, Hari Phaneendra Kalyan, showed how the system works. He was able to open Internet Explorer and make Google.com appear on the command line, just by thinking it. Then I got to try my head at it. The controller is an EEG headset with 14 contact points. A schematic on the computer screen shows them black (no contact), yellow (getting warm), or green (go). Kalyan and a fellow student, Ben Cawrse, helped me get ready. We discovered it’s a challenge to make green contact with all the electrodes if you wear a pony tail. After a bit of trial and error, they worked some electrodes under my hair and put others on my forehead and behind my ears. That gave us 11 green lights out of a possible 14. Given that many greens, I thought hard to move the cursor, but nothing happened. The graph of brain activity came on screen. The blue line, which reads frustration level, was very high, so I knew the system was working. I said I was stymied in trying to move the cursor, so Cawrse moved to another window labeled “mouse” and clicked an icon. Suddenly, wherever I looked on the screen the cursor went with me. The unexpected ease made the experience downright eerie. An image on the page showed a box floating in the air. Kalyan told me to think hard about pushing it. So I did, gritting my teeth, even leaning into it. Nothing happened. I wondered where my blue line was—probably pretty high. Then the screen changed a little, but not because of anything I did or thought. As usual, I was about a page behind. Nothing was supposed to happen on the screen during that exercise. We were teaching the system to know my “push” brainwaves. It learned well. When I thought “push” at the right time, that virtual box started to slide into cyberspace. There is a team at the lab working with Emotiv. They include Kalyan and Cawrse, who are computer science students, and Ajay Gupta of the computer science faculty. Ahmed Noor estimates that this technology right now is about where voice-recognition was 20 years ago. He told me the lab is moving towards more advanced applications. You’re not going to create much by pulling or pushing images on a screen. But if you can do that much today just by thinking it, where is this technology going to be in 20 years? Will people now locked silenced by severe physical disabilities be able to share some of their genius with us? 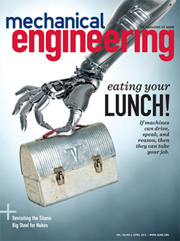 My April column in Mechanical Engineering magazine. The catchphrase quickly became part of the day’s vernacular. Some today may consider it sexist and a cynical campaign to sell tobacco products, but in the 1970s and ’80s the theme came to encapsulate the advances women had made in participating in almost every sphere of public and economic life. Even so, some stereotypes linger, and one of them is that engineering is not for women. 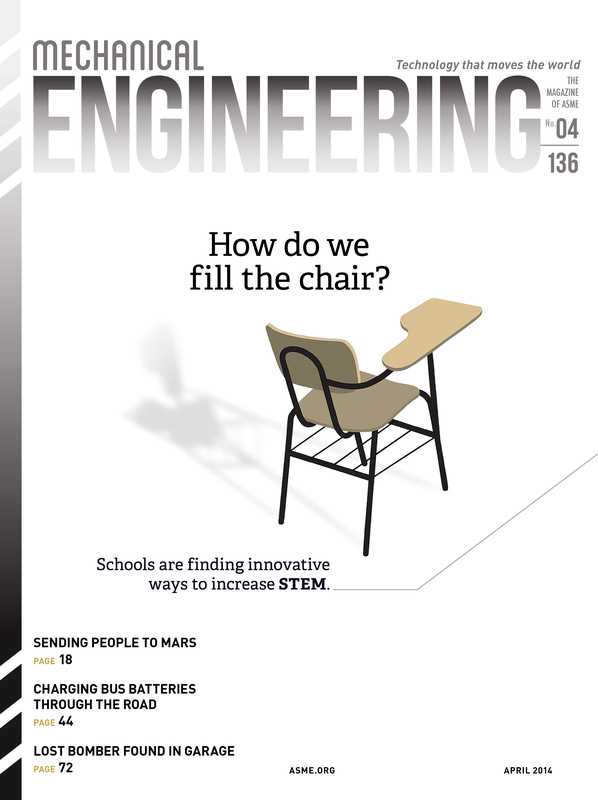 Diversifying the engineering workforce from its traditional male dominance is something organizations like ASME, the Society of Women Engineers, the National Science Foundation, and numerous others are working hard to do. The Girl Scouts of America is another, and it has come a long way since the organization was founded. Celebrating its 100th anniversary this year, the group continues to sell its iconic cookies, but that’s one of the very few things that has not changed since 1912. The Girl Scouts are working hard to help shake the widely held notion that young women don’t thrive in areas of science, technology, engineering, and math. To prove that girls love STEM, the Girl Scouts teamed up with Lockheed Martin to conduct a research report called Generation STEM: What Girls Say about Science, Technology, Engineering, and Math. The conclusions of the report may surprise you. It found, for example, that 74 percent of teen girls are interested in the field of STEM and in STEM subjects; and that most girls are interested in the process of learning, asking questions, and solving problems. It also found that girls who are interested in STEM are high achievers who have supportive adult networks and are exposed to STEM fields. In all, the report shows that a high number of teen girls are interested in STEM fields and subjects, and are drawn by the creative and hands-on aspects that characterize these fields. It also shows that parents or other role models play a significant role in the development of STEM interest among girls. For the Girl Scouts, the topic of STEM is framed in leadership. That is, the Scouts emphasize the importance of leadership skills to make the world a better place. The research suggests that girls are more interested in STEM careers when they know that their work will help others. ASME also understands this and its own initiatives, such as EngineeringForChange.org, are stimulating thousands of young engineers each year. Beyond the research report, the Girl Scouts truly have come a long way in developing leadership in young women. New programs and recognition badges now focus on science and technology and aim at fostering a generation of women who embrace technology and understand that a career in engineering is a matter of choice, and not a matter of gender.